​​​​​​​GRAPEVINE – Park Place Dealerships announced plans to build a two-story, 70,000-sf Porsche dealership. The five-acre site is located off Texan Trail and SH 114 near Park Place Motorcars and Park Place Lexus. The project should start construction within the next 30 days​ and will be completed by spring 2018. The project will create more than 180 construction jobs and approximately 50 permanent jobs. The Classic Car Center will be the link between the old and the new, showcasing the heritage of Porsche and the future generation of the legendary brand. 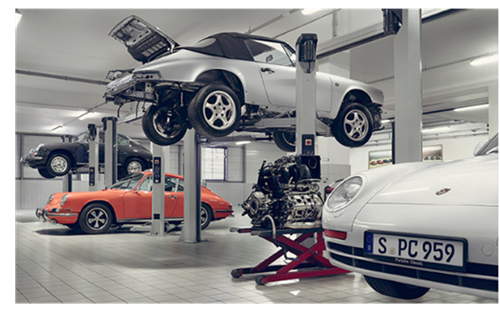 Park Place will be a select Porsche Classic Partner with an objective to assist clients in maintaining and caring for historic vehicles that have not been produced in standard production for at least ten years. Park Place Porsche Grapevine will be only of nine dealerships in the nation built around the new Porsche prototype. ​Want more ​data? See DFW Retail Market Research.